Breast cancer is the most common cancer among women in California. Breast cancer data are usually analyzed and reported for the state as a whole or at the county level. Not having city or neighborhood level data makes it difficult for public health professionals and health care providers to identify specific areas that are most in need of breast cancer services. The California Tracking ProgramExternal recruited and worked with an advisory group of breast cancer advocates, clinicians, and public health agencies to determine the best way to map breast cancer data for the state. The advisory group decided that the maps should show data not limited by county boundaries. The tracking program then analyzed and mapped invasive breast cancer data showing geographic areas with elevated rates, including portions of East Ventura and West Los Angeles. This was surprising because Ventura and Los Angeles Counties had not shown consistently elevated rates of invasive breast cancer when shown in previous county-level maps. The tracking program enhanced the cancer data by providing and analyzing demographic data for the areas with elevated rates, which was a key recommendation from the advisory group. Doing so highlighted that, compared to breast cancer patients across California, the women who were diagnosed with invasive breast cancer in the East Ventura/West Los Angeles area were more likely to be uninsured or receiving government assistance at the time of diagnosis. A Los Robles Hospital & Medical Center oncology nurse saw the tracking program’s maps and wanted to learn more about the findings. The hospital, located in East Ventura invited the tracking program to present the findings to the breast cancer leadership committee and health care providers. Following this presentation and subsequent meetings, the breast cancer leadership committee used the mapping results to focus some of their outreach and education on low-income clients. They incorporated breast cancer–specific messages into other hospital education and outreach efforts. The tracking program’s maps helped them identify and focus efforts on meeting the needs of women in their community. To address water quality issues for the most impacted communities, it is essential to know the areas and locations that public water systems serve. Historically, this information has been difficult to obtain because there was no central, digital map of public water systems in California, and some water systems only had paper diagrams of their service areas. Additionally, it was challenging to find information for water systems serving areas that crossed zip code or county boundaries. The California Environmental Health Tracking ProgramExternal created an easy-to-access web-based Water Boundary ToolExternal (WBT), which allowed water systems to produce and upload digital maps of their service areas. To date, the tool has mapped public water systems serving over 90% of the state’s population, and has been used for research on water quality and costs, as well as for the ongoing surveillance of California’s water systems. Because of its utility, several state grantees within the National Environmental Public Health Tracking Network are considering using the tool. A cross-sector partnership between local governments, engineering firms, and non-governmental organizations used the WBT to address water quality challenges for rural and underserved communities in California. The partnership used the tool to identify the locations of water systems with poor drinking water quality and inadequate waste water facilities, especially in disadvantaged communities in the Tulare Lake Basin and Kings Basin regions. Using WBT-generated maps, the partnership worked with community residents to identify solutions such as improving water system efficiency, reducing water costs, and consolidating resources across water systems. Information from the WBT has informed regional and state-wide planning efforts and may be used in the future to strategically allocate resources to improve water quality in disadvantaged communities. 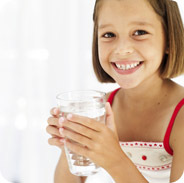 Nitrate-contaminated drinking water can lead to serious illness in infants. Also, exposure to nitrates has been associated with certain cancers and adverse reproductive outcomes, including various birth defects. In California, some communities are at higher risk for having nitrate contamination in their drinking water. Because there was no statewide digital map of the areas served by drinking water systems, identifying communities at higher risk for nitrate exposure has been difficult. Moreover, the state had no central location for gathering this information. The California Tracking Program created a Web-based tool to help water systems create digital maps of the areas they serve. Prior to this effort, many systems only had paper maps. The tracking program’s water tool has received information for public water systems that serve almost 90% of the state’s total population. With this information, users can also identify communities that may be using unregulated private wells, which are also at high risk for nitrate contamination. The University of California at Davis, on behalf of the state Water Resources Control Board, used data from the water tool and other sources in a report to the state legislature. The report identified communities most exposed to nitrate contamination in drinking water and proposed potential remediation solutions. Findings and recommendations in the report have led to prevention, monitoring, training, and funding activities in high risk areas. 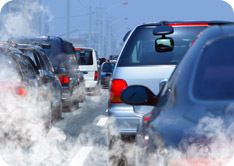 Air pollution from traffic is associated with a variety of health problems. Researchers and public health workers use data on traffic to estimate air pollution and to look at the relationship between traffic pollution and health. However, traffic data can be difficult to access and use. The California Tracking Program developed a traffic tool to make it easier to access and use CalTrans traffic data for public health activities. People can use the tool to calculate a range of traffic features, such as the average number of vehicles traveling near a location per day. Users of the tool can find out how much traffic passes through any geography, such as a zip code, neighborhood, or another custom area around a specific address. Researchers can compare data from the traffic tool with health data from the CA Tracking Network or other sources to understand better the possible links between air pollution and health. Several agencies have used the traffic tool to protect and improve public health. 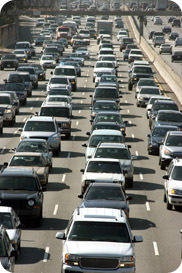 For example, the Bay Area Air Quality Management District uses the traffic tool to determine if a proposed project will increase risks of exposure to traffic pollutants. And the CA Environmental Protection Agency used the traffic tool to identify locations more likely to be exposed to pollution from traffic. The agency added this information to its screening tool which identifies communities likely to be affected most by environmental exposures and poor health. Research shows that preterm birth is associated with the mother’s exposure to traffic pollutants and lead. A routine review of data on the California Tracking Network revealed a pattern in the risk of preterm birth in Fresno County, one of the major population centers in the state’s Central Valley area. Preterm birth trends reported by race and ethnicity. Maternal Infant Health (MIH) indicators, including very preterm birth (less than 32 weeks gestation). Fresno County used the information to identify locations for targeting activities that are related to childhood lead poisoning, air quality, and asthma. Fresno County officials reported that the data and assistance from the tracking network were very helpful to the local childhood lead poisoning prevention program. The San Francisco Planning Department needed a way to decide when to refer project sponsors or developers to the San Francisco Department of Public Health. The health department assesses the risk associated with exposure to roadway-related air pollutants, such as ozone, particulate matter, and nitrogen dioxide. These air pollutants can be triggers for asthma. The California Tracking Program developed a traffic tool that the Planning Department used as a screening instrument. The tool helped the Planning Department determine how close high-traffic roads were to a proposed project development. When residential or other sensitive uses such as a community space are proposed for sites within 500 feet of roads that more than 100,000 cars travel on daily, the Planning Department is required to perform a risk assessment to fully understand the potential effects of the project before approving it. Local stakeholders used the California Tracking Program’s traffic tool to identify and prevent potentially harmful environmental risks in city planning. Variations in health status most frequently occur at the community level, but health information often is available only at the county level. The challenge is how to use existing data to increase the public’s knowledge about how the environment affects their community’s health, without compromising individual privacy. The affected communities should be able to gain access to this information. high rates of preterm birth. high rates of full term births with low birth weight. a range of asthma indicators. The staff explored possible relationships between these outcomes and environmental hazards. The project demonstrated how the California Tracking Network can identify elevated rates of community health outcomes while maintaining individual confidentiality. The California Tracking Network also identified disparities in rates by race and ethnicity, income, and geography. The California Tracking Program partnered with the Urban Strategies Council and several other organizations in a community collaborative called InfoAlameda-County (www.infoalamedacounty.org). The collaboration aimed to make these data available publicly and to provide technical assistance to promote equity and empowerment for low-income neighborhoods and communities of color in Alameda County. The information generated by the tracking network was incorporated into the InfoAlamedaCounty.org interactive mapping Web site so that community residents could continue to access the data even after the project ended. During the California 2006 heat wave, there were 140 confirmed deaths and an additional 515 suspected deaths due to extreme heat. An estimated $133 million in health-related costs was attributed to the heat wave, along with an estimated $500 million in agriculture-related costs from the loss of livestock. Heat waves have and will continue to impact all regions of California, including urban, rural, inland, and coastal areas. In California, heat waves are expected to become longer and more frequent over time. The California Tracking Program worked with the Bay Area National Weather Service (NWS) regional office to conduct a study to determine if heat alerts accurately predicted times when people suffered the most heat illness. NWS monitors temperature and issues heat alerts. The heat alerts serve as triggers for cities and counties to take preventative action, such as opening cooling centers where the public can gather for life-saving relief from the heat. The California Tracking Program showed that heat-related emergency room visits peaked immediately following heat alerts for the San Jose area and subsided when the heat alerts were discontinued. Due to budget cuts, the City of San Jose wanted scientific evidence from NWS to show there was a need for cooling centers during heat waves. Without this proof, decision-makers would not approve the opening of cooling centers as part of the city’s heat alert response plan for the upcoming summer. NWS presented the California Tracking Program study findings to City of San Jose decision-makers. Based on this evidence, the city decided to allow cooling centers to open as part of the city’s heat alert response. The California Tracking Program is partnering with NWS to conduct similar studies for other regions in California, including Los Angeles. This information will help cities to make decisions about heat wave preparedness policies and help NWS refine its heat alert system for each region.